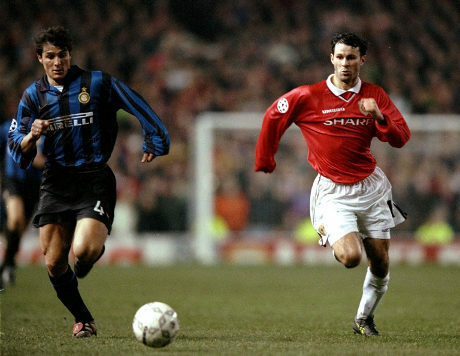 Javier Zanetti and Ryan Giggs are both a legends in their club. Javier Zanetti retired from Inter Milan F.C. and now become vice president. Giggs has a new role in Manchester United F.C. that is as Louis van Gaal assistant. Both of them retired at the end of the season of 2013/2014. Talking about teams and players in World Cup 2014, both legendary players had their own thought. Javier Zanetti who held the most capped player in Argentina national team hoping the Tango to lift the trophy, while Ryan Giggs was impressed with Costarica national team and Colombia. Even though both are retired their love for soccer game is never ended. Javier admit his retirement from the pitch make him spent more time with his family. But he would not hesitated if there is a chance to play again. Ryan Giggs however is missing the buzz to swing things in pre-season training.